Where does the time go? It is JULY!!! Yes, I do have plans for the 4th, but first, I’d better comment on my goals for June. It was a pretty short list. I did my Stash Bee block and I did work on some WIPs. Generally, It was an easy month and I am not complaining! The June Stash Bee, Hive 5 block was for Tammy, @jenlukpip. She had us make a fun block called Geese Migration. To continue a bit of recap of June, unrelated to quilting, we went to Seattle for a few days and explored with friends who live in Capitol Hill. What a beautiful area and we got the city with mostly beautiful days too! We used to travel there for work, but those trips are never the same as visiting! Just a few snaps below. If you have not visited, I recommend it! The goal page looks pretty blank again, but this will be a fun month! Besides the 4th of July, it is Sisters Outdoor Quilt Show month and the Quilter’s Affair. My friend and sew mate, @judemadeit, will be visiting for both. 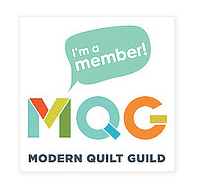 We are booked for several events at the Quilter’s Affair and will certainly be found wandering around the quilt show! More on all that after the events! My goal will be to post shortly after these things happen, but if it goes like summer usually does, there may be one post to recap July and start August…like this one! So, here’s to the month of July…celebrations, food, fun…and quilting!!! oh, please, you must go like that! Haha! Looking forward to seeing you!